We are proud to announce that Daylight Co-founders Nathan Roberts and Michael Kimpur have published their new book titled “Poor Millionaires: The Village Boy Who Walked to the Western World and the American Boy Who Followed Him Home” detailing the story of founding Daylight Center. Poor Millionaires is the true story of two boys brought together by famine, missionaries, war, a search for God, and the unexpected consequences of introducing Christianity to a war-torn African village. Poor Millionaires follows authors Nathan Roberts and Michael Kimpur through their heartbreaking and hilarious misadventures across two continents on their way to founding Daylight Center and School for orphans of war in Kenya (daylightcenter.org). 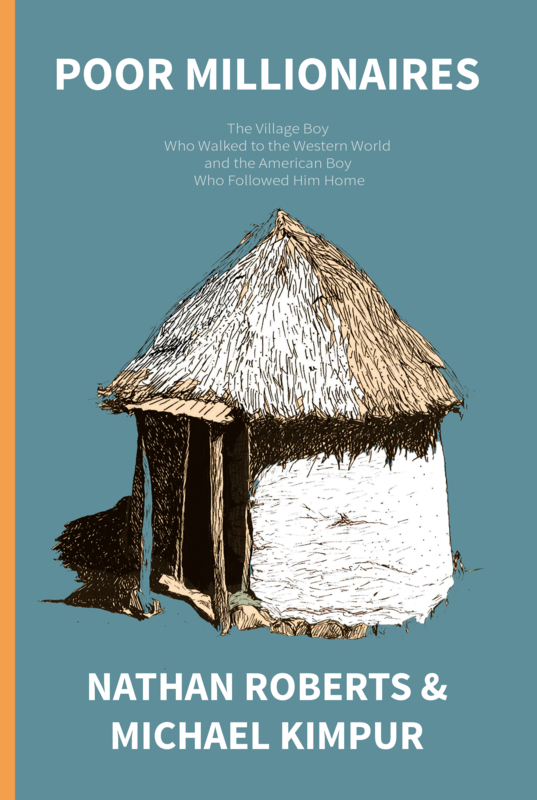 Michael Kimpur was raised in a nomadic tribe in the Kenyan desert, spending his days herding cows and sleeping in a thatch hut, unaware of the modern world waiting for him just over the farthest mountain. Nathan Roberts was raised in a wealthy suburb in Minnesota and spent his summers at Bible camp, sheltered from a world scarred by colonialism and poverty. The book is available now on Amazon for purchase as a physical book or an e-book. If you have already read it we would appreciate if you left a kind review in the Amazon review section and shared the video with your friends.